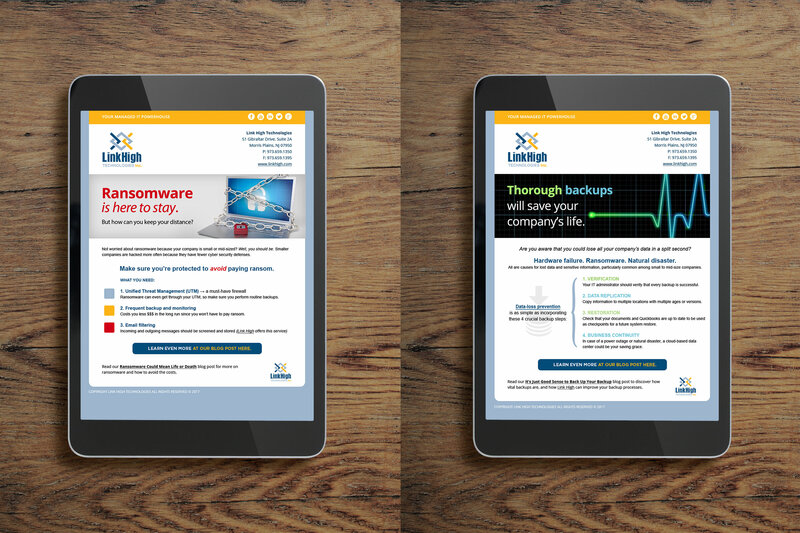 Link High Technologies provides a professional powerhouse of managed IT services for small to mid-sized businesses in New Jersey, New York and Pennsylvania. 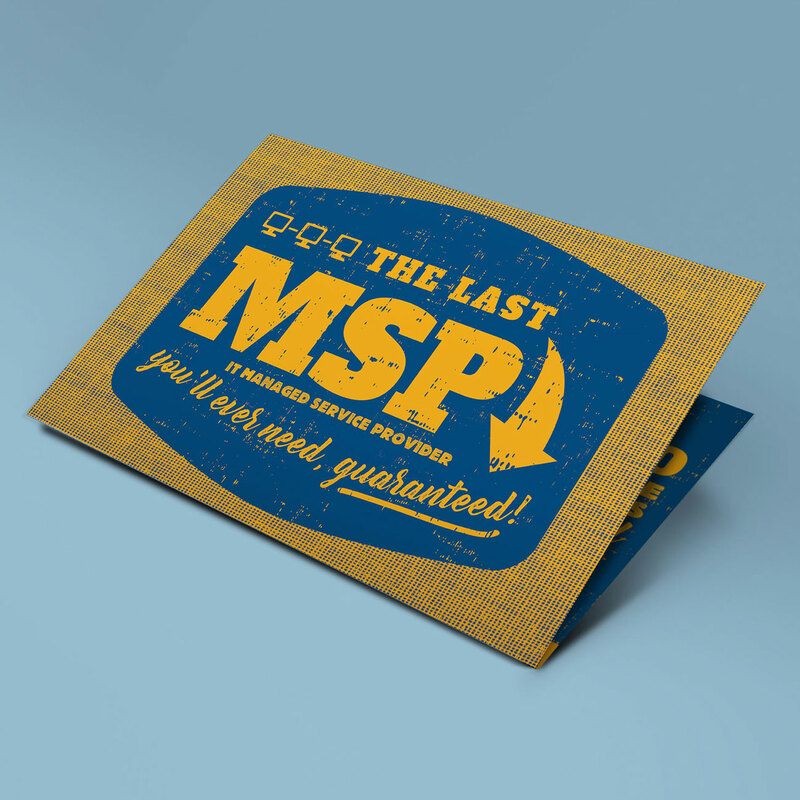 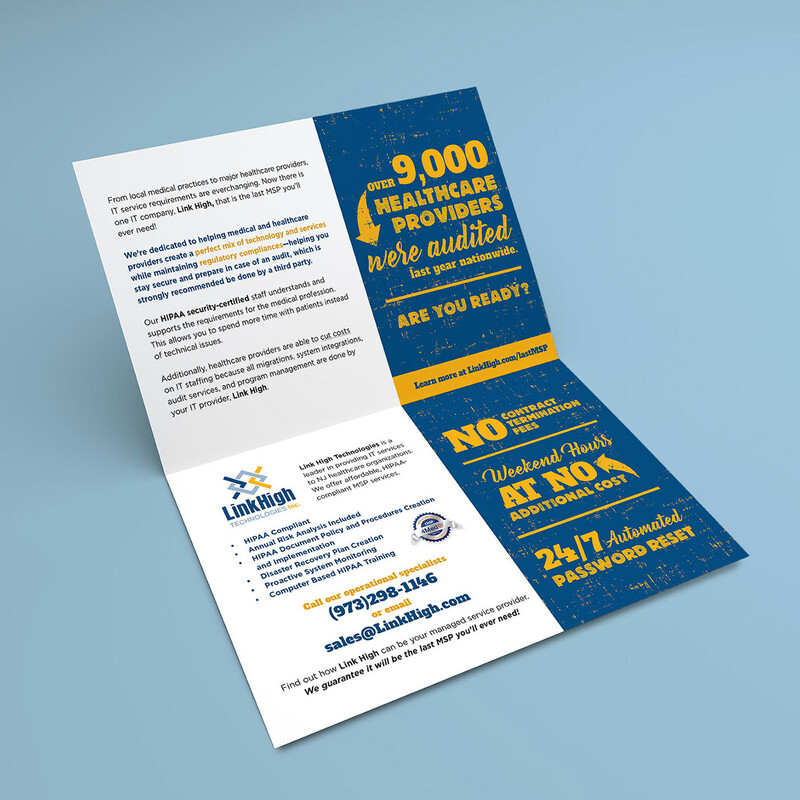 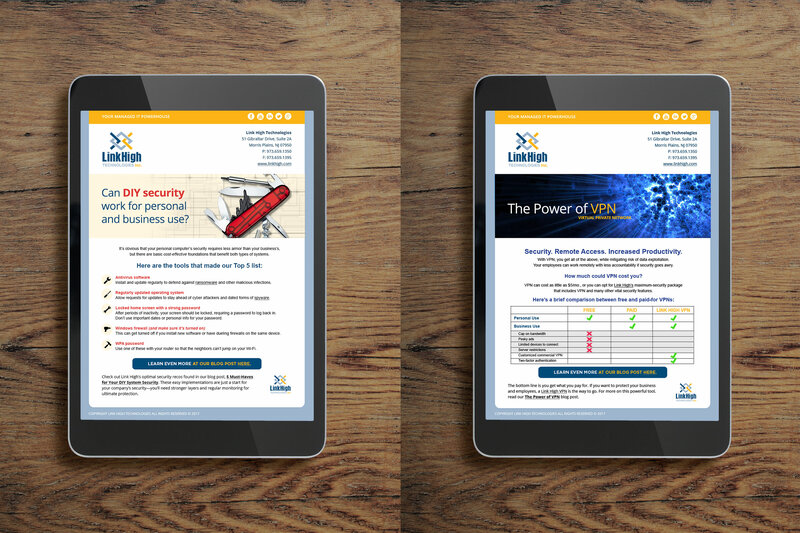 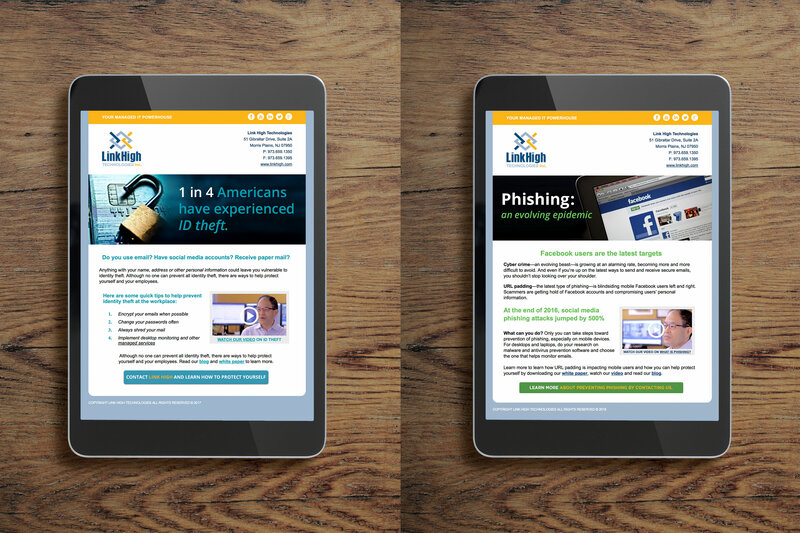 They needed a clear way to show the efficient, effective IT solutions they provide through custom consistent email marketing, as well as accompanying social media content, direct mail, white papers, videos and blogs. 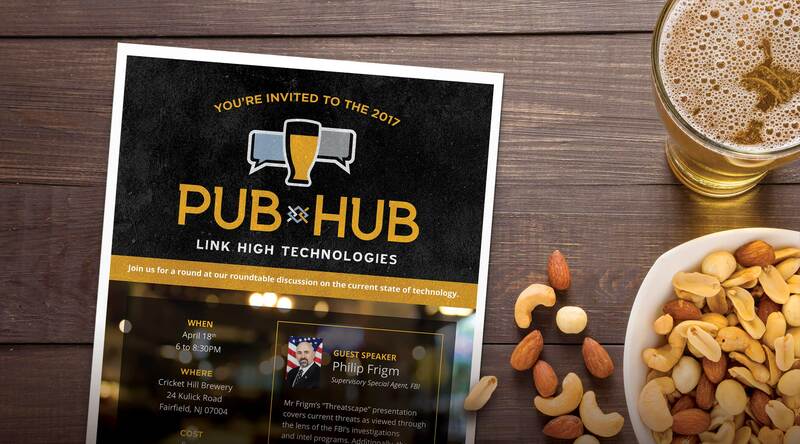 We helped them brand their promotional event, the Pub Hub with a logo design and collateral.